For the love of life: JustRite Papercrafts June Release Final day! JustRite Papercrafts June Release Final day! Hello again, welcome to the final day of our JustRite Papercrafts June Release hop! Hope you have been enjoying our projects created with the new stamps and that you found inspiration and pick up these sweet stamps! Today is one of my favorite release stamps turn finally. Seeds of Summer is a beautiful and playful stamp set that you can create so many pretty projects with! 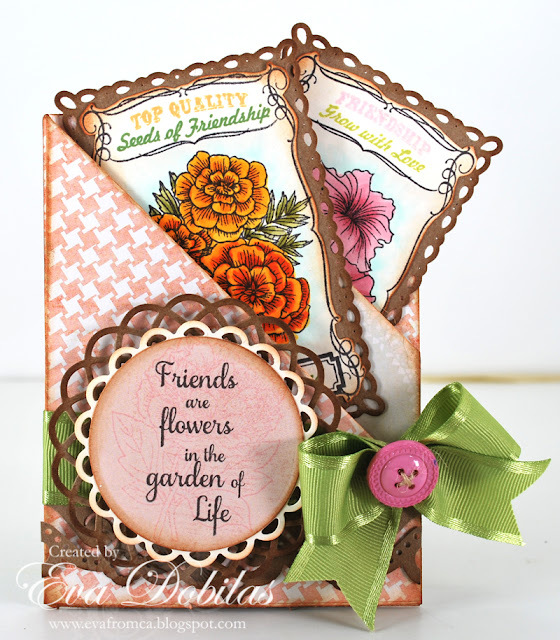 Since I was working with seed packet designs, I wanted to make the most use of this gorgeous set and wanted showcase most of the stamps, so I found this sweet pocket card tutorial on Splitcoaststampers, in case you would like to recreate something like this, you can find it HERE. The gorgeous ribbon once again you can find at Stamp Simply store. It's by May Arts and super pretty to work with. I used a few dies on this. 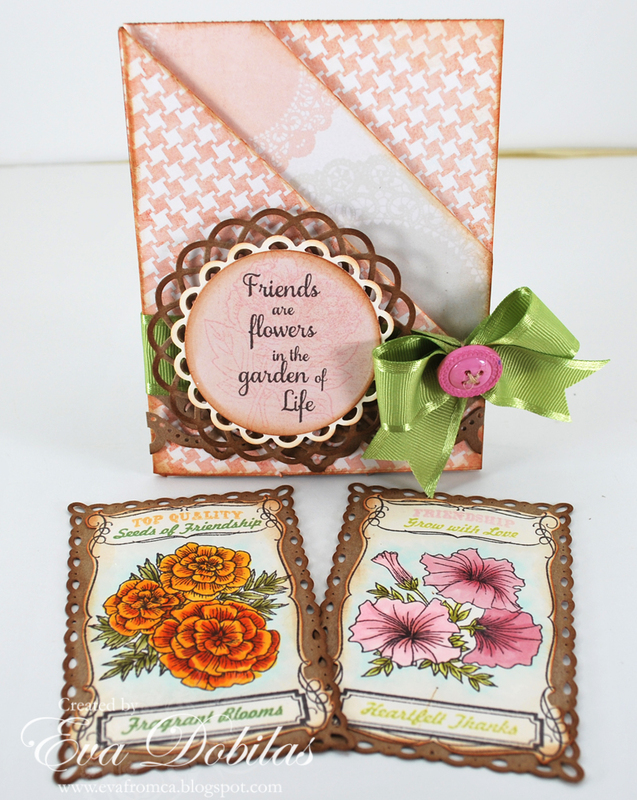 Our Seeds of Summer stamps coordinate with the Spellbinders Romantic Rectangles dies, which is beautiful. I also used Spellbinders Lacey Circles, which I stamped my sentiment on and I backed it up with My Favorite Things Die-namics Dizzy Doily Duo. 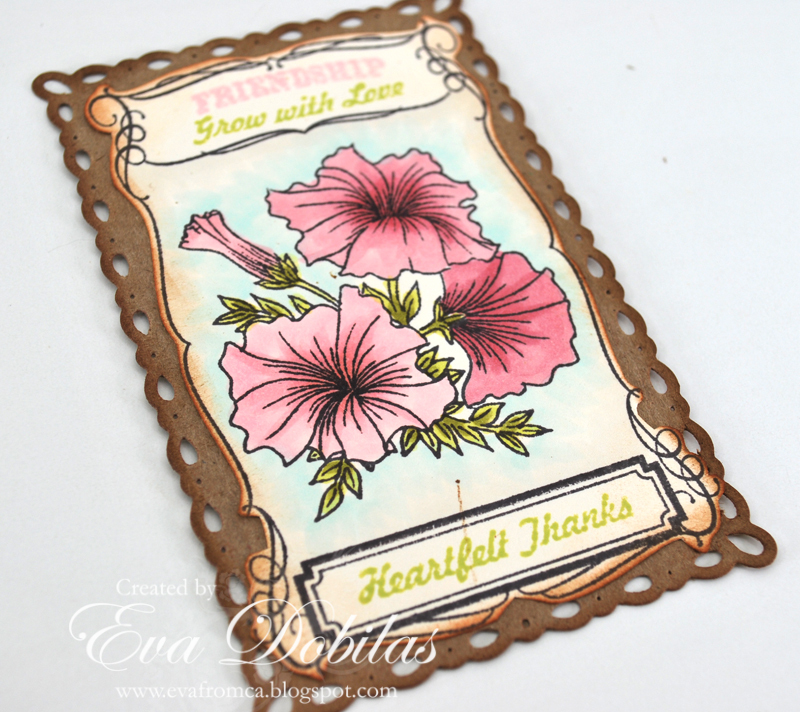 Here is the picture of my Petunia tag. 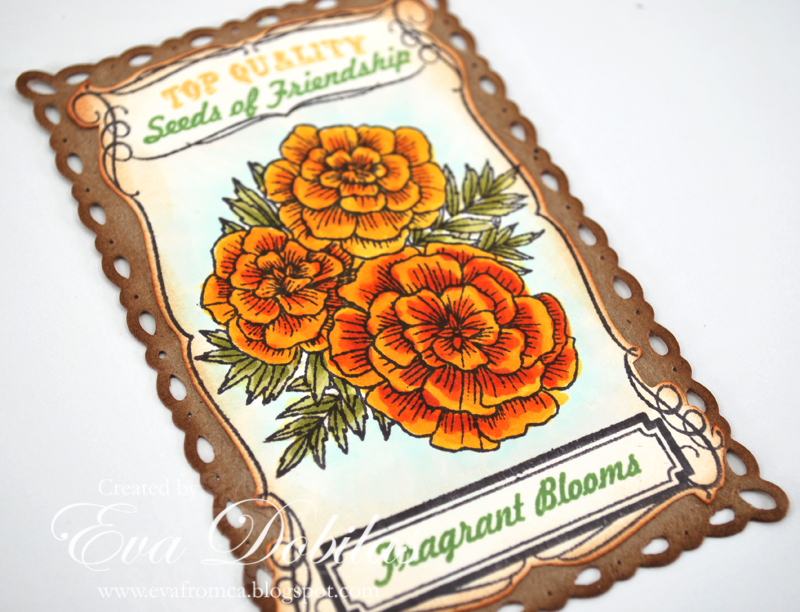 Here is the picture of my Marigold tag. I think these tags could be used as bookmarks, don't you think??? And finally take a peek at this gorgeous stamp set. You'll see what I meant about so many possibilities with this stamp set. And before you go, are you ready to shop???? Here is a coupon code for tomorrow-- JRDTJUNESALE use all caps no spaces - JustRite needs to make room for their CHA Summer Releases . Use this coupon code and get an additional 20% off the remaining JustRite Original Stamps in their warehouse sale. Also don't forget to visit our super talented Design Team's blogs for even more inspiration using this stamp set! Here is the list of the participating ladies today.